I have been looking aqt these Asus mini laptops for a while. They seem really useful and a great piece of technology to be travelling around with. Just to let you know what they are made for, the Asus eee is a laptop without a hard drive, it uses flash memory for the OS and to save your files and comes as a really small form factor unit with a mini keyboard and a mini screen. I have seen that htey have Wifi and a simple Linux operating system but Asus says that they plan to ship it with Windows (I suspect the mini version of XP) by Christmas, still haven’t heard of it being out yet. If you are wondering what the Asus eee is really supposed to be for, I have kind of wondered too. This unit would be great for traveling around town with internet sometimes, calendar always and the option to take any notes or type for a while on. I think that this is the obvious next step form a PDA as much as people think that smartphones are the future. With a smartphone you get anything that does not require a keyboard really but I could not imagine any cellphone, even my blackberry, as being a replacement for a computer. I have seen these Asus eee mini laptops in a local computer store but today Asus announced that they had shipped 350,000 so the popularity is definitly there and they will be in Best Buy and other stores in the new year, at that time sales will really pick up and we may see some limnitations as more people use them. So far I love what I see though even if I don’t have one in the palm of my hand yet. I bought one of these mini laptops at Costco – I LOVE it. If you keep in mind what it is good for (like sitting on your couch and browsing the internet while you’re watching TV), it’s perfect. I would never use it to do work or other heavy duty tasks. 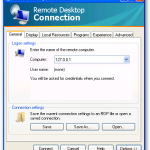 It’s great for just checking email, it’s great for traveling if you want to stay in touch. All these new “smart phones” are great but not really practical–I think they are out there to show people how smart developers can be. This mini laptop is somewhere between the smart phones and a full-size laptop. I love mine!! 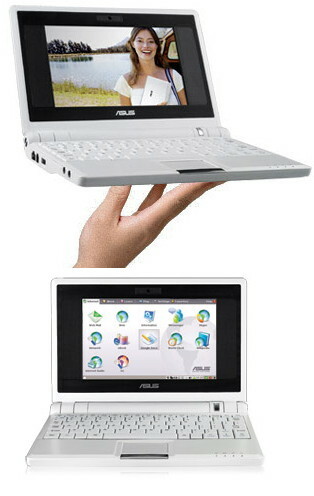 i bought an Asus Eee PC about a month ago and i am still amazed of its compact size and how lightweight it is.